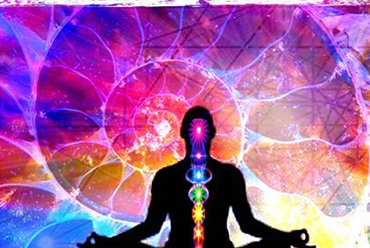 Chakra Healing : a deeper spiritual balance to Unblock your energy ecosystem. Strongly recommended! Pills and surgery are proven healers of sickness, and on the surface it seems as if this is enough to keep us healthy. But prevention is always better than cure. But at the same time, why would anyone want to trust preventative medicine that is immeasurable by scientific means, and somewhat spiritual in its origins? Well, the fact is we are not solely made of measurable things. It’s awesome that modern science can measure calories, hemoglobin, blood pressure and brain waves, but just because there are things that science is yet to figure how to measure, doesn’t mean that they aren’t real or without impact on our being. Chakra healing is one such non-scientific thing, and a practice that has survived for hundreds of years. The practice of healing the body’s energy ecosystem has spread from the farthest East to the most pragmatist West, and has been practiced throughout the ages to promote health and vitality. There are thousands of chakras in the human body (both the physical and psychic body), but these energy centers are generally housed under seven primary chakras, located along the human torso, from the base of the spine to the top of the head. Chakras are like energy vortices and canals. Like a canal, they can become clogged and stretched, disrupted and weakened. certain periods of time, and then moved on without becoming stuck or stagnant. Illness, as far the chakra system is concerned, is caused either by energy overflow or energy clogging – stress being a major cause. The root chakra, or the Muladhara Chakra, being the nearest to Earth, is associated with basic survival instincts. A healthy Muladhara creates sense of assertive ownership, courage and rootedness. An unhealthy Muladhara chakra feels like woozy ambiguity, stubbornness and fearfulness. The Svadhistana Chakra, or the sacral chakra, rests on the inner side of the sacrum, and governs sexual and creative (creation) energies. A healthy Svadhistana Chakra butters our conversations with constructive sweetness and empathy, while the unhealthy Svadhistana Chakra manifests in social withdrawal or over-dependence. The Manipura Chakra, or the Solar Plexus is the fire chakra. The “little sun chakra” rests at the base of the ribcage, it is associated with the quality of our connection with others, whether animate or inanimate beings. A balanced Manipura Chakra manifests in practical intellect along with flexibility towards change and diversity, whereas an imbalanced chakra comes off in manipulative, controlling or fiery rage. The Vishudda Chakra, associated with self-expression (the very tools that connect us with others), lies at the throat, through which our thoughts and feelings are delivered in stories, songs and snores. Imbalance in this chakra manifests in dishonesty and boastfulness. Whereas, in its best form, the Vishudda Chakra manifests truths that can reach beyond language, and reverberates through the elements within and around us. The third eye chakra (psychic), or Ajna Chakra, at the center of the forehead deals with intuition, integrity of personality and cognitive cohesion. There is much emphasis on this chakra and area of the brain since the frontal lobe regulates our basic hinking processes, such as attention, short-term memories and judgment. A healthy Ajna Chakra, hence, manifests in intuitive abilities, deep concentration and organization of thoughts. Sahasrara Chakra, or the Crown Chakra is not really located in the body, but it floats a little above the crown of the head, like a halo. In many cultures, this is the chakra that connects us with Cosmos, or the Higher Consciousness. A balanced crown chakra manifests in the sense of belonging and purpose as part of the universe. Getting Started With Chakra Healing You know how some cars need to be jump-started when the battery’s low? Chakra healing is more or less like that, except that there are seven points to jump-start in the human body instead of just one. Each of these points need to be activated and balanced sequentially, whether from top to bottom or bottom to top. The most basic form of Chakra meditation is to concentrate on the chakras, one at a time and in sequential order, and imagine a flow of white light or kind love (or even chocolate syrup and warm honey) pouring to these areas, engulfing them with safety, love and gratitude. It is always easier to meditate on areas that are “A-okay” than on areas that need healing. So if it feels easier to start with meditating on lower chakras than higher ones, start low and work your way up. The opposite is true, too. If it’s easier to focus on the upper chakras, bring your attention downwards as you meditate. Sometimes, in the process of chakra healing, physical and emotional reactions may rise. This is normal. Unclogged energy has to go somewhere and it’s better out than in. I have a habit of suppressing my feelings, so when a healer jumpstarts a sluggish nahata chakra, I tend to feel a little emotional until that energy has been spent. Similarly, a rejuvenated Sahasrara chakra feels like it’s part of everything and everything is part of us, like getting high on a gallon of Swiss chocolate ice cream, but with none of the calories. Being the complex beings that we are, having your chakras balanced can be quite an overwhelming experience, at least in the beginning. But you’ll soon enjoy the experience and thrive because of it. The chakra system, in this respect, honors our complexity andoffers a way to maintain and fix it gently, kindly, and meditatively. If we can loosen up our reliance on measurements in meters and grams, there are plenty of ways that we can feel better about ourselves holistically: Mentally, physically and spiritually. We’re much more than bio-engines. We deserve to treat ourselves better than that. For a blissful, effortless chakra healing experience, try Aalma!